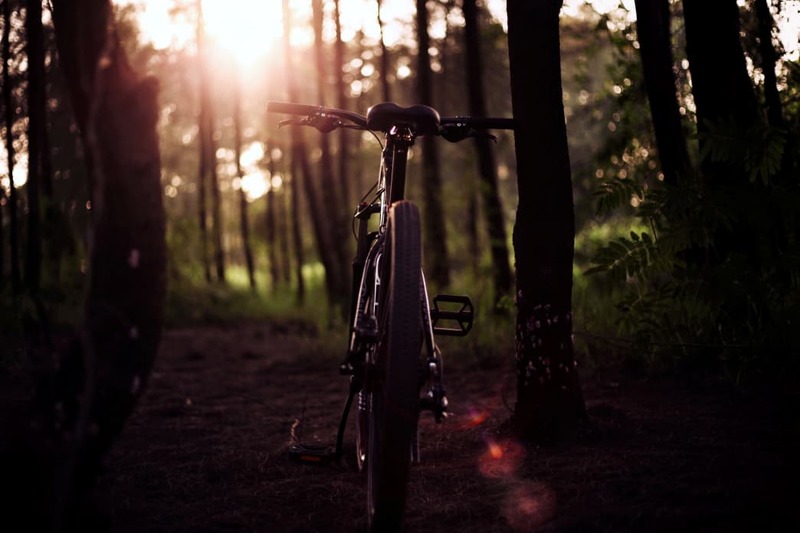 With the popularity of downhill mountain biking, you might be wondering if there are trails in Alabama where you can satisfy your need for downhill speed. The answer is yes. While most Alabama bike trails are too rocky for downhill riding, there are a few spots in the state where riders can get their fix. You won’t find the lengthy rides found in places like Moab or Crested Butte, but there are several trails that deliver short yet sweet downhill thrills. We’ve highlighted six of the best rides in Alabama where you can build your skills and stay entertained until you can venture to one of the country’s downhill meccas. 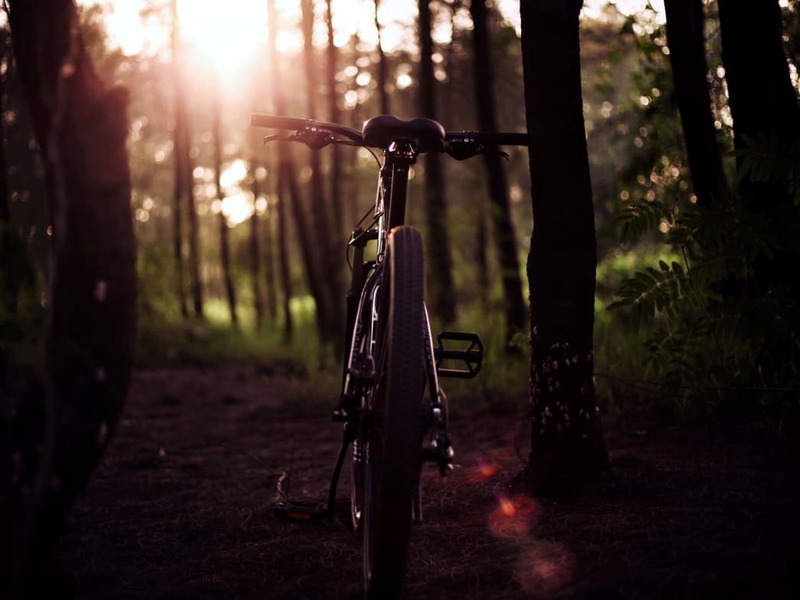 Offering some of the best mountain biking trails in the country, it’s no surprise that Oak Mountain State Park claims the first trail on the list. The Lightning Trail was built for one purpose—a quick downhill adrenaline rush. On this single diamond trail, a narrow drop starts a ride that measures almost 4,000 feet long and drops 215 vertical feet. The trail features lots of flow as you carve over rollers on a steep downhill raceway. For the brave, there are spots where you can get as much air under the tires as you want, including a steep wooden drop-off about halfway through. Near the end, Lightning challenges riders with switchbacks and berms. Named for Floyd, a local dog that helped police detect explosives, the Bomb Dog Trail at Coldwater Mountain stretches nearly four miles, making it the longest downhill flow trail in Alabama. For a challenging 10.5-mile loop that includes the Bomb Dog Trail, begin at the Cold Springs Trailhead and follow the Baby Bear, Mama Bear, and Papa Bear trails, climbing through the hardwood forest. After you’ve traveled about five miles, you’ll complete the significant climb and reach the junction with the Bomb Dog Trail. If you look to your left, you’ll see the headstone for Floyd. On the Bomb Dog Trail, you’ll begin with nearly two miles of flowing descent and encounter a variety of features for riders of all experience levels. From optional black-diamond sections to rollers and table-top jumps, this path gives riders one of the best mountain biking adventures in Alabama. After the initial descent and a small climb, you’ll be all smiles as you encounter another free-flowing mile of downhill riding. When you finish Bomb Dog, you’ll complete the loop with an easy cruise down the Baby Bear trail. Stretching 1,600 feet, The Forbidden Zone Trail in Auburn’s Chewacla State Park is short, but riders love it because the double black diamond trail has tons of features made specifically for free-ride mountain biking. The Forbidden Zone starts with a difficult chute that leads into wood and dirt jumps and a series of vertical drops, some as high as 15 feet. Plus, there’s a big road gap jump, so this is a ride for confident, skilled riders. Continuing, you’ll encounter table-top jumps, a step-down bridge, and other challenging obstacles. Because this is such a technical ride, you should walk it first to get the lay of the land and preview obstacles. The Sylaward Trail at Lake Howard may not be a pure downhill route, but it offers some of the cleanest, fastest-flowing rides in the state. Ninety percent of the 15-mile Sylaward Trail system is singletrack free of rocks, so the terrain is much smoother than most mountain bike trails in Alabama. As it winds through the lush Talladega National forest, the Sylaward Trail contains few technical obstacles, so it’s great for veteran riders who want to crank up the speed on clear terrain and improve their riding skills. Over the course of the trail, you’ll also gain about 500 feet of elevation, so it’s also perfect for beginners who want to develop their endurance on climbs. Not for the faint of heart or novice riders, the single black diamond Gazza Trail will test even the most technically experienced rock riders. This is another trail where you’ll need to do an initial walk-through, and it’s a good idea to wear a full-face helmet with pads for this one. The two-mile Gazza Trail starts at an elevation of about 1,600 feet on Coldwater Mountain and begins with a rocky descent, where it’s easy to get hung up. Over the next mile, the trail becomes flatter, and you’ll negotiate some small rock gardens. Next comes a gnarly downhill rock garden that may require some hiking. Then, the trail opens up and allows you to gather speed while descending through rocky terrain that’s more forgiving. When you reach the end of the ride you will have dropped a total of about 580 vertical feet. If you’re looking to test your riding skills on the rocks, Gazza will do exactly that. An interior trail at Oak Mountain State Park, the Thunder Trail begins that the junction of the Boulder Ridge and West Ridge trails high on the mountain at nearly 2,000 feet of elevation. Over the course of 1.6 miles, the Thunder Trail descends to the top of the Lightning Trail, and you can combine both for a pretty wild ride. A fast black diamond path with some intermediate sections, the Thunder Trail drops 447 feet and requires riders to conquer several rocky sections and overcome testy turns. Plus, there are a few launch spots to test your air game.